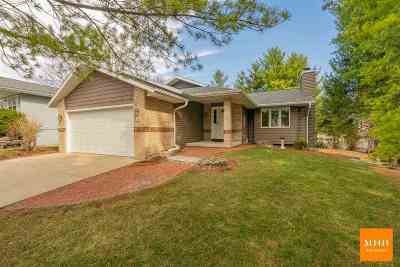 3109 Silverton Tr, Madison, WI.| MLS# 1854193 | John Reuter Realtor/Broker/Owner of The Reuter Team. Wisconsin Homes for Heroes Realtor. Proud to be the Top Homes for Heroes Realtors in Wisconsin and One the Top Homes for Heroes Realtors in the United States. Fantastic ranch home in an ideal location! Main level features a bright, open concept floor plan w/ vaulted ceiling, gorgeous hickory flooring & newer windows throughout. Step out to the new maintenance free deck from the eat-in kitchen which overlooks extensive, show-stopping landscaping & the neighborhood park/coveted green space. The exposed/walkout LL has a large rec area w/ rustic stone surround fireplace & 3rd bedroom along w/ another bath. Per seller: Roof '12, Siding '16, Furnace '10, H20 heater/softener '18, carpeting '19. UHP Home Warranty included. Welcome Home!